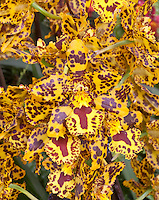 Orchids Stock Photography of species & hybrid orchids detail closeups of flowers, phalaenopsis moth orchids, paphiopedilum ladyslippers, miltonia pansy orchids, cymbidiums, oncidium, native orchids cypripedium, cattleya orchids, fragrant orchids, rare. 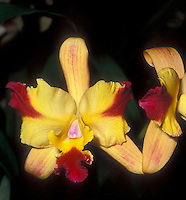 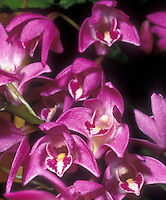 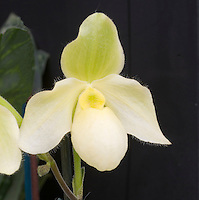 Our stock photo agency has a vast inventory of orchid pictures - a sub specialty from the orchid picture library of judywhite, author of the famous Taylor's Guide to Orchids book. 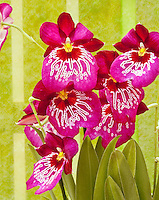 Search for more images with above search or email us. 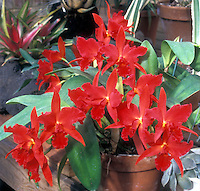 Burrageara Nelly Isler orchid hybrid.